Hand appliqued and machine pieced by Jerrianne in 2002 and 2003. Machine quilted by Jo Lynn O'Neil of Lone Camp Quilting in 2004. Pattern by Pat Sloan. Fabrics from a block of the month at the Cotton Patch in Michigan. Won 3rd Place in the Applique Category at the Lakeview Quilters Guild Show in May 2004. 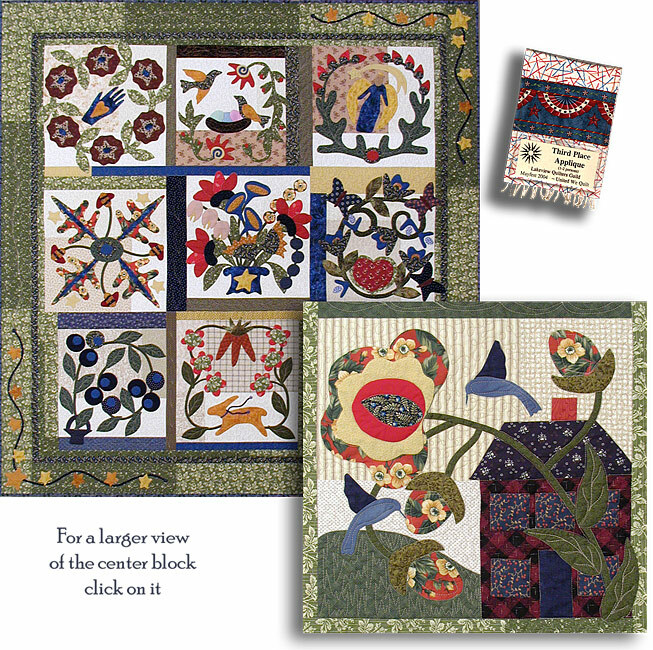 Won Viewer's Choice at the Freestone Quilt Guild Show in November 2005.